WWW.ACEPIXS.COM . 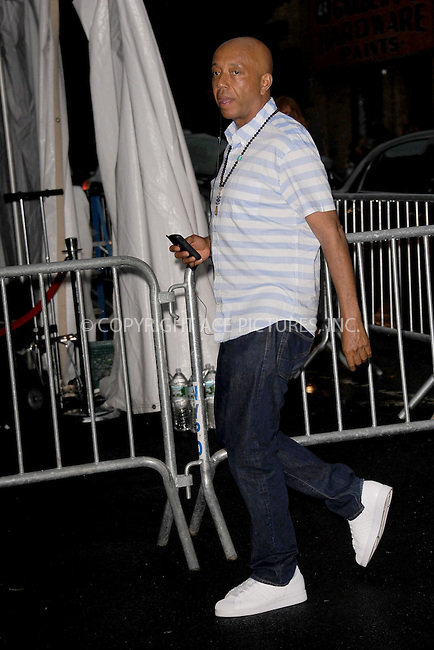 . . . . .June 9, 2011...New York City...Russell Simmons enters the Stephan Weiss Studios on June 9, 2011 in New York City. on June 9, 2011 in New York City.....Please byline: KRISTIN CALLAHAN - ACEPIXS.COM.. . . . . . ..Ace Pictures, Inc: ..tel: (212) 243 8787 or (646) 769 0430..e-mail: info@acepixs.com..web: http://www.acepixs.com .